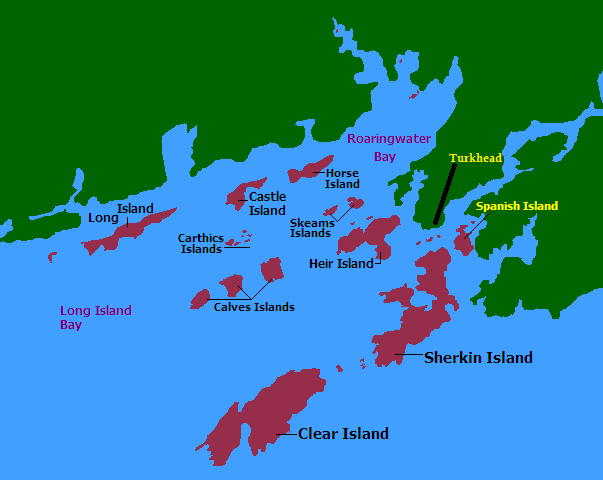 Turkhead, set in the middle of the Carbery Isles, in West Cork has a wild and remote beauty. Wind blown and rugged it is a place where the hectic pace of the world seems to fall away or in the wise words of John Cadogan, now sadly departed, a former farmer and Heir Island postman who often commented “When God made time he made plenty of it” and this is a place where one can really enjoy all that time. As children we learnt to love Long Island and Roaring Water Bays and gained a perspective on life that still has a strong impact over fifty years later. From helping the local farmers with milking and getting the harvest in by hand to sailing around the islands time seemed to pass much too quickly and memories seem to build upon each other to create a kaleidoscope of images that represent this wonderful place. Over the years much has changed, great characters like Molly, John and Mary Cadogan and Michael Daly who entertained us with their stories have sadly passed away but new personalities have emerged and continue to make the community a vibrant one. This site is dedicated to creating a record of Turkhead, its people and events that have shaped it. I would welcome any contributions or references that will help to create a fuller perspective. Please get in touch, send articles or contact me to become an author on the site, there must be many great stories many of which I have not yet heard. I am starting with articles on Alella, the boat my family have had in Turkhead for nearly fifty years. 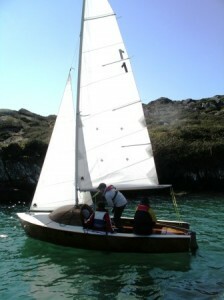 In 2009 I rebuilt this boat and am posting a record of this rebuild while it is still reasonably fresh in the memory. It was particularly satisfying to see the boat lying on its mooring at Turkhead once again and being able to sail out to the islands again has bought many hours of joy.